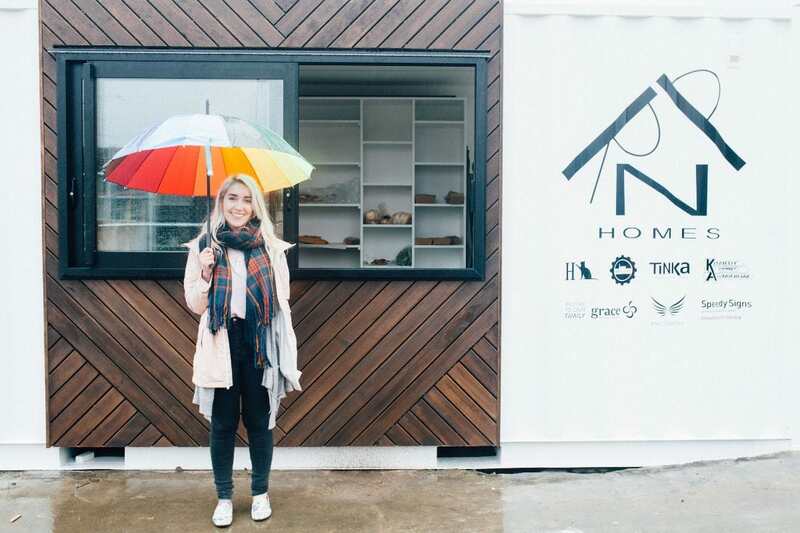 Beth is a Person behind the Project behind the Project: she was the winner of the Soup pot at our SAYONARA Soup event earlier in the year, and Kairos Free Store has been going from strength to strength, most recently featuring in ‘Neat Places: Ten of the best eateries to emerge this year’ – well done! Can you tell me who you are, what you do and give us an interesting fact about you? My name is Beth Hutt and I work for Allpress Espresso as Cafe Manager in CHCH and Barista Trainer for the South Island. I founded the Kairos Free Store a few months ago. I’m originally from the UK, I moved over here 12 years ago with my whānau. Can you explain why you got involved with this project? I first heard of the Free Store in Wellington about 18 months ago and as soon as I heard about it iIjust knew we needed one here in CHCH. As a Cafe Manager, I know how much wasted food there can be in cafes & eateries, so it was really a no-brainer. A chance to use my passion in the industry, with the aim of combating food waste but also a chance to serve the community I live in. It’s a travesty that food is wasted when there are hungry people in our community. What surprised you most about your project? I was most surprised about the generosity of people in the community. I was blown away by people & businesses who supported me and this vision and donated everything that I needed to make it happen. Kairos Free Store wouldn’t be operating if it wasn’t for these amazing people! What have been the benefits to you? For me, the biggest benefit that I have got out of this is the pure enjoyment of meeting people and building relationships with members of the community, whom I may never have met otherwise. Everything went really smoothly with the set up of Kairos, which I’m very thankful about. Perhaps the one thing I would have done differently would have been gathering a ‘core leadership team’ in place before we opened. So I could share the load of the operational side of things with some others. What’s your favourite thing about Ōtautahi right now? I just love the vibe and the atmosphere when you walk around the city. Not many cities get a chance to rebuild and reinvigorate themselves, so i think it is and will be a pretty special city to be a part of currently and in the future. If you could see anything happen in this city – what would it be? More of what is currently happening. Urban green spaces & shared work spaces. More community focused innovative ideas i think. Any feedback you’d like to give Gap Filler?